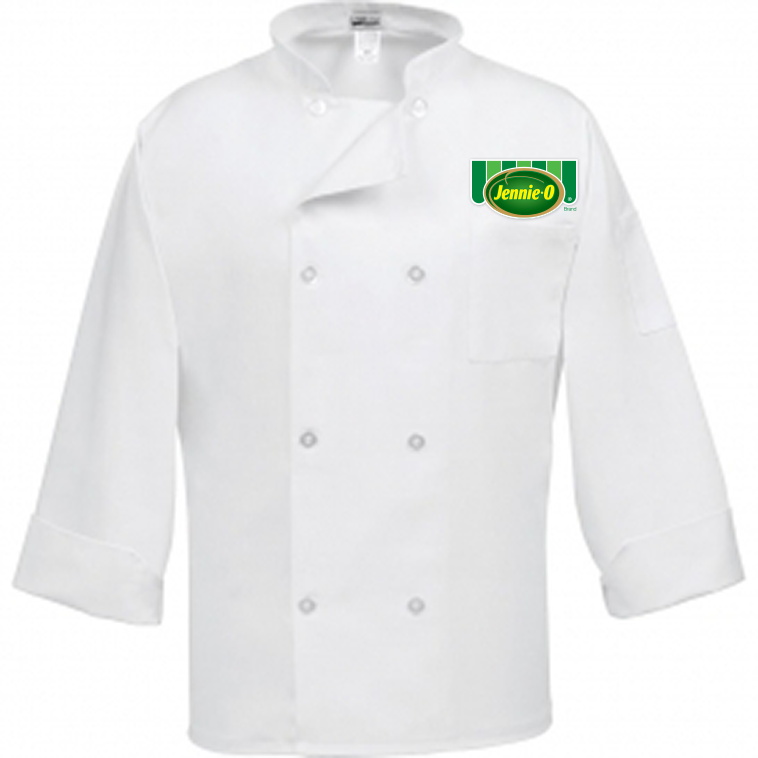 Classic chef coat style with Jennie-O logo, 8 pearl buttons, Left arm thermometer pocket Left chest pocket, Reversible front closure. Size Large. Only points from Jennie-O product purchases qualify toward redemption of Jennie-O branded rewards. Please contact Cool School Cafe Customer Care at (800) 468-3287 to verify your Jennie-O point balance and place your order.